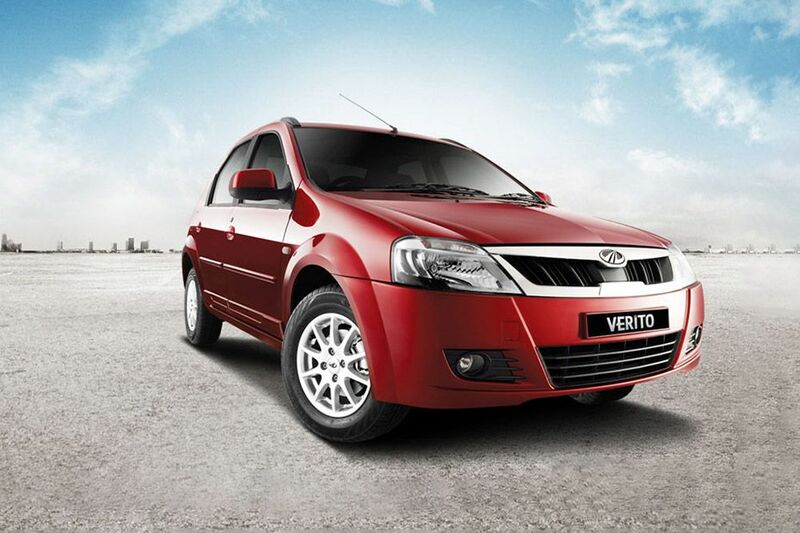 Mahindra Verito comes fitted with a 1.5-litre, dCi diesel engine. It generates a peak power of 65bhp at 4000rpm and produces 160Nm torque at 2000rpm. It returns a maximum mileage of 21.03 kmpl. 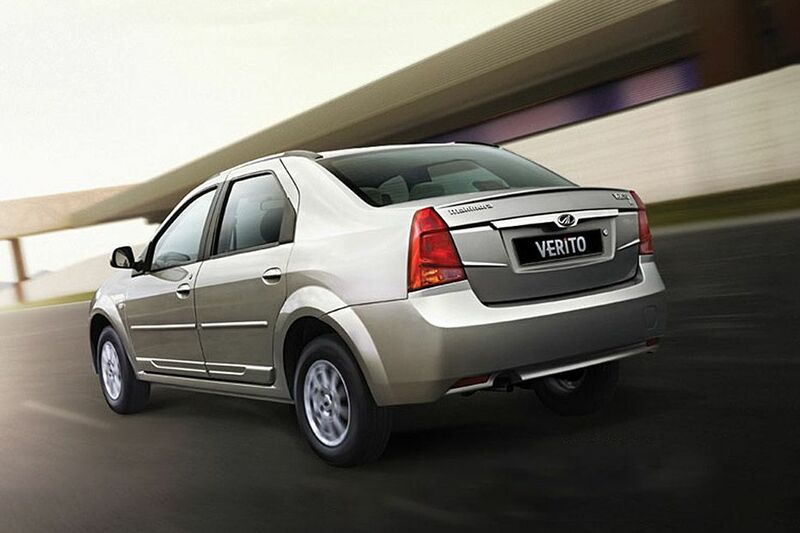 Verito's biggest rivals are Maruti Swift Dzire, Toyota Etios, Honda Amaze and Hyundai Xcent. Of them, Maruti's Dzire has two engine options: 1.3-litre, DDiS diesel engine – Belts out 74bhp power at 4000rpm and yields torque of 190Nm at 2000rpm. Both manual and AMT versions return a mileage of 26.59 kmpl. 1.2-litre, K Series petrol engine – Produces power of 83.14bhp at 6000rpm along with 115Nm torque at 4000rpm. Mileage – 20.85 kmpl. (18.5 kmpl with automatic transmission). Toyota Etios is available with 2 engine options: 1.4-litre D-4D diesel engine – Generates 67.04bhp at 3800rpm in combination with torque of 170Nm between 1800 to 2400rpm. Mileage – 23.59 kmpl. 1.5-litre petrol mill – Maximum power of 88.73bhp at 5600rpm and torque output of 132Nm at 3000rpm. Mileage – 16.78 kmpl. Honda Amaze is offered with two engine options: 1.5-litre i-DTEC diesel engine – Churns out power of 98.6bhp at 3600rpm and delivers 200Nm torque at 1750rpm. Mileage – 25.8 kmpl. 1.2-litre i-VTEC petrol engine – Gives out 86.7bhp power at 6000rpm and yields 109Nm torque at 4500rpm. Mileage – 18 kmpl (15.5 kmpl with automatic transmission and 18.0 km/kg with CNG). Hyundai Xcent is on the offer with 2 engine options: 1.1-litre diesel motor – Generates 71bhp power at 4000rpm and produces torque of 180.4Nm between 1750 to 2500rpm. Mileage – 24.4 kmpl. 1.2-litre Kappa petrol mill – Both petrol and CNG versions belt out power of 82bhp at 6000rpm and yields torque of 114Nm at 4000rpm. Mileage – 19.1 kmpl (16.9 kmpl with automatic transmission and 25.0 km/kg with CNG). 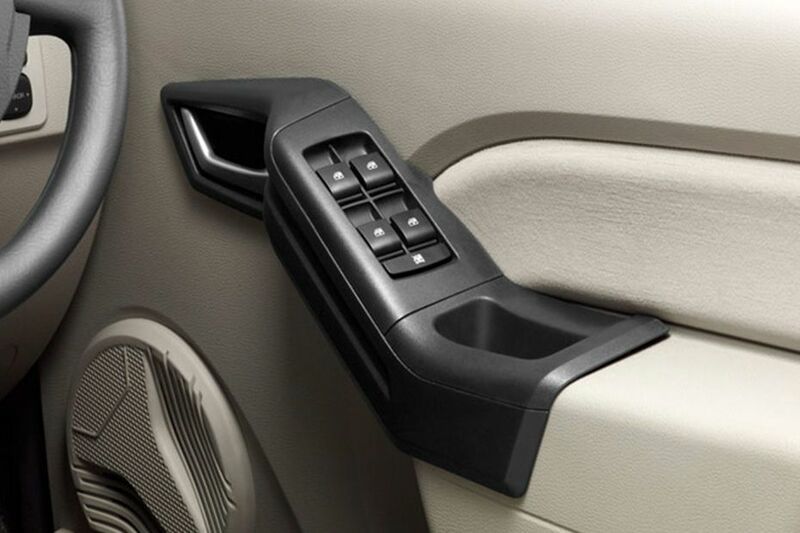 Mahindra Verito does not have keyless entry system. Toyota Etios has keyless entry in its mid and high range models, while the remote keyless entry is present in the entire lineup of Swift Dzire. In Xcent, the S and SX variants have keyless entry, whereas the SX (O) also gets a smart key. 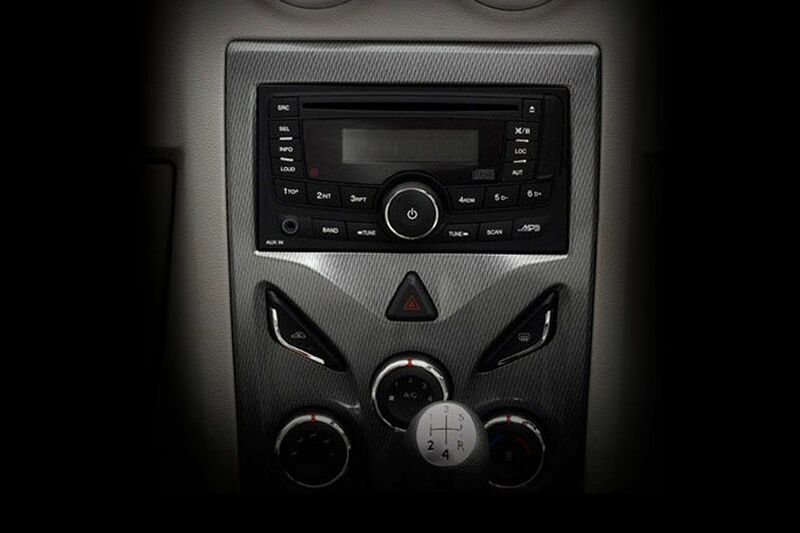 Meanwhile, Honda Amaze has this feature in its mid and top spec versions. Verito does not come with reverse parking sensors/rear camera. 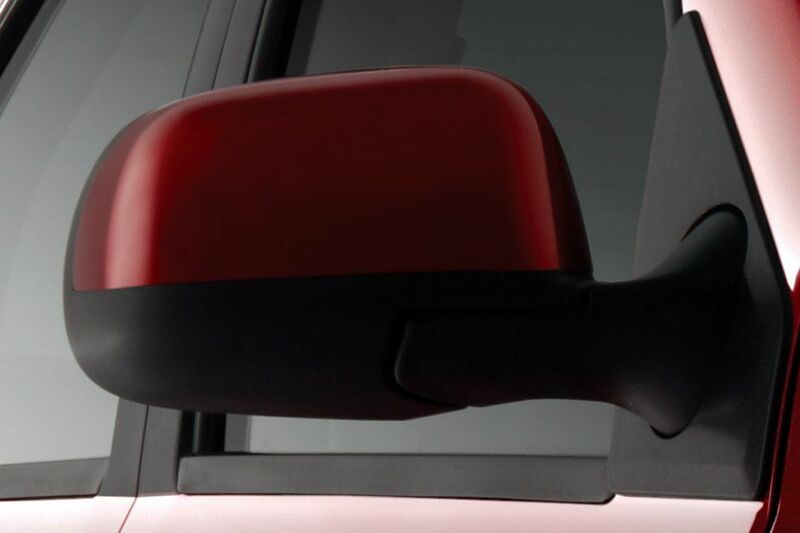 Etios gets reverse parking sensors in VX and VXD versions. 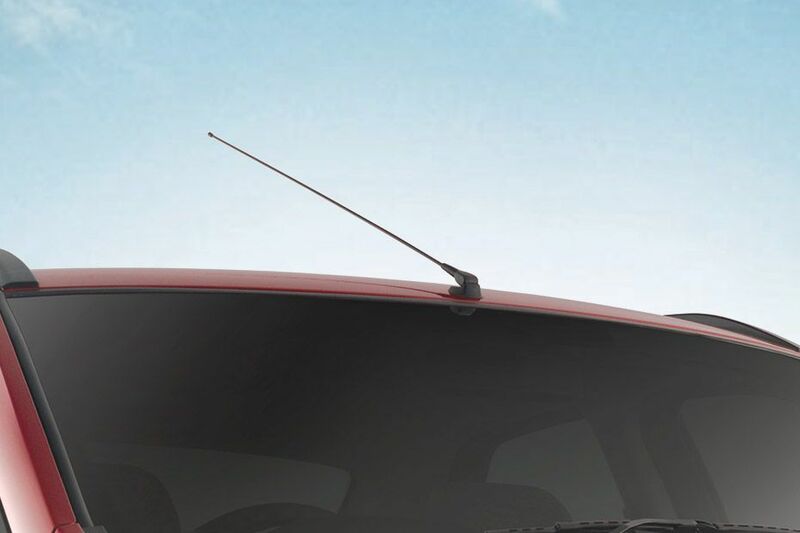 In Swift Dzire, rear parking sensors are present in its top spec variants. Except for the base variant, Hyundai Xcent has reverse parking sensors in all its models. Reverse parking sensors are not available in Honda Amaze. Verito's front fascia features a chrome finished radiator grille that adds to its appearance. 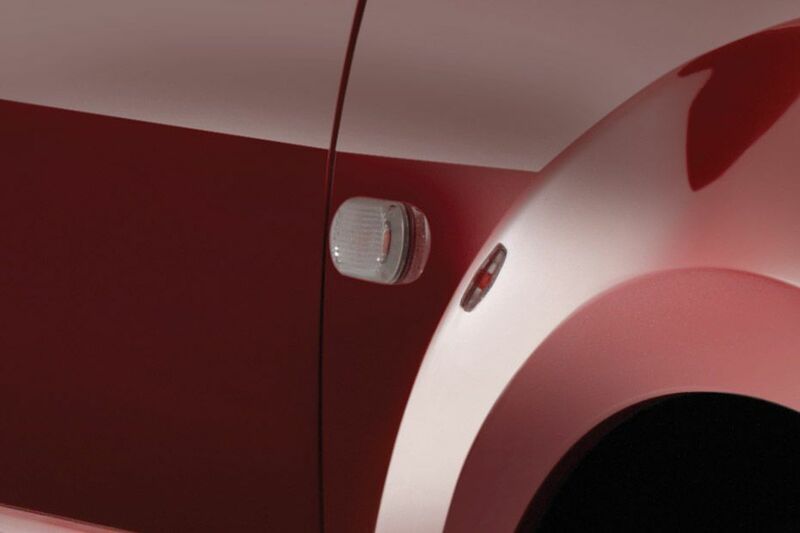 The prominent company's insignia at the center of this grille further emphasizes its look. 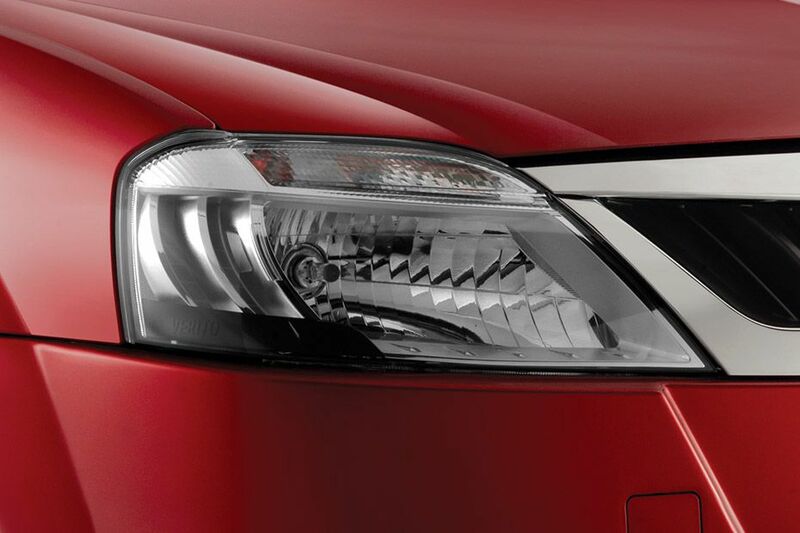 Mahindra Verito's stylish headlight cluster houses turn indicators and halogen lamps with headlamp leveling device. 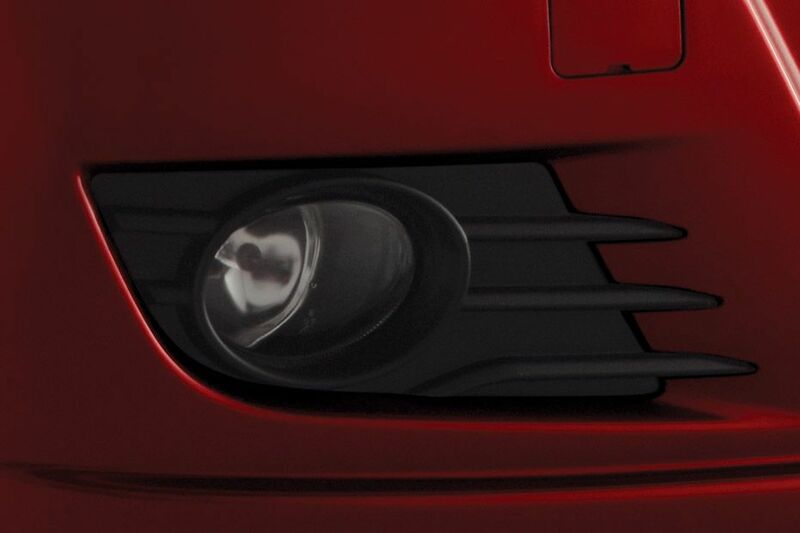 Verito's D6 variant has a pair of fog lamps at front with clear lens. Verito's D2 and D4 variants are fitted with a set of 14 inch steel wheels, while the D6 model gets alloy wheels. All the versions have tubeless tyres of size 185/70 R14. This sedan has a ground clearance of 172mm. 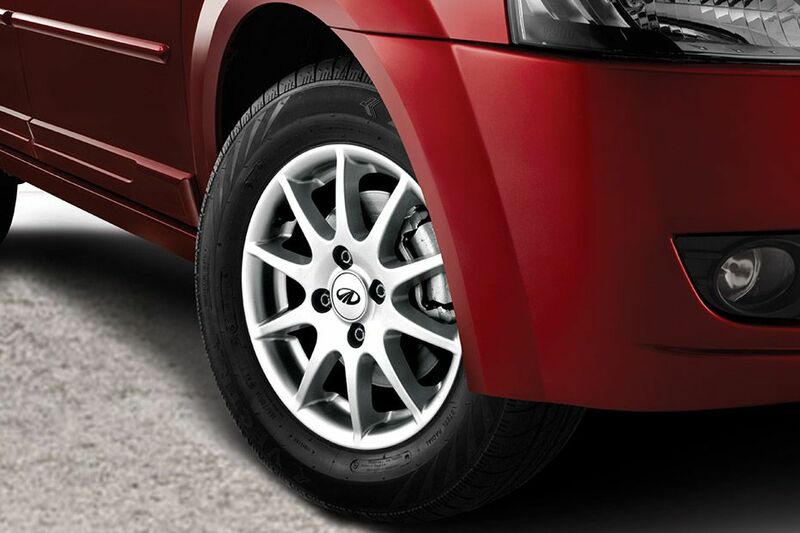 The ZXi and ZDi models of Maruti Swift Dzire come with 15 inch alloy wheels that have 185/65R15 sized tubeless tyres. The remaining variants have a set of 14 inch steel wheels with 165/80 R14 sized radial tubeless tyres. Ground clearance – 170mm. In Honda Amaze, the VX, VX (AT) and VX (O) models are equipped with 14 inch alloy wheels, while the rest of them get steel wheels. All these are offered with 175/65 R14 sized tubeless tyres. Ground clearance – 165mm. The Base and S versions of Hyundai Xcent have 14 inch steel wheels, while the SX variant gets 14 inch alloy wheels. These are adorned with 165/65 R14 sized tubeless tyres. Meanwhile, its top end model is available with 15 inch alloy wheels that are covered with 175/60 R15 sized tyres. Ground clearance – 165mm. Etios has its top spec variants fitted with 15 inch alloy wheels, whereas the other models get 15 inch steel rims. Ground clearance – 170mm. Verito is incorporated with front disc brakes and rear drum brakes. Its D6 model also gets ABS with EBD. Maruti Swift Dzire has front ventilated disc brakes and rear drum brakes. Its mid and top range variants are offered with ABS and EBD. Honda Amaze has its front wheels fitted with disc brakes and the rear ones have drum brakes. All its diesel variants are available with ABS and EBD as standard. Except for the E, EX and S petrol variants, the remaining versions also get this feature. Hyundai Xcent – Front disc brakes and rear drum brakes for all variants. ABS is available as a standard feature. Toyota Etios – Front ventilated discs and rear drum brakes. ABS with EBD available in V, VX, VD and VXD models. 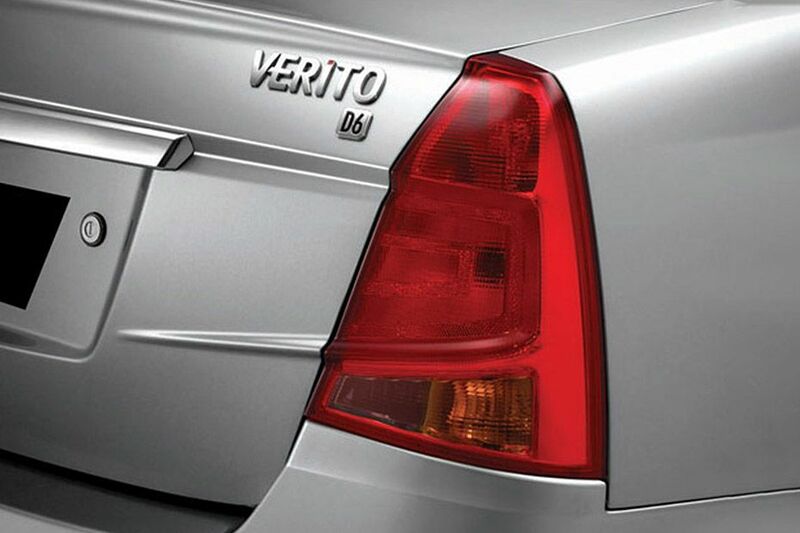 Verito comes with a bright taillight cluster that adds style to its rear end. It is equipped with luminous lamps and turn indicators. Mahindra Verito has boot space of 510 litres. Maruti Swift Dzire is designed with a boot storage capacity of 320 litres. The boot capacity of Honda Amaze is 400 litres. Hyundai Xcent comes with a boot space of 407 litres. In Toyota Etios, the boot storage capacity is 595 litres. 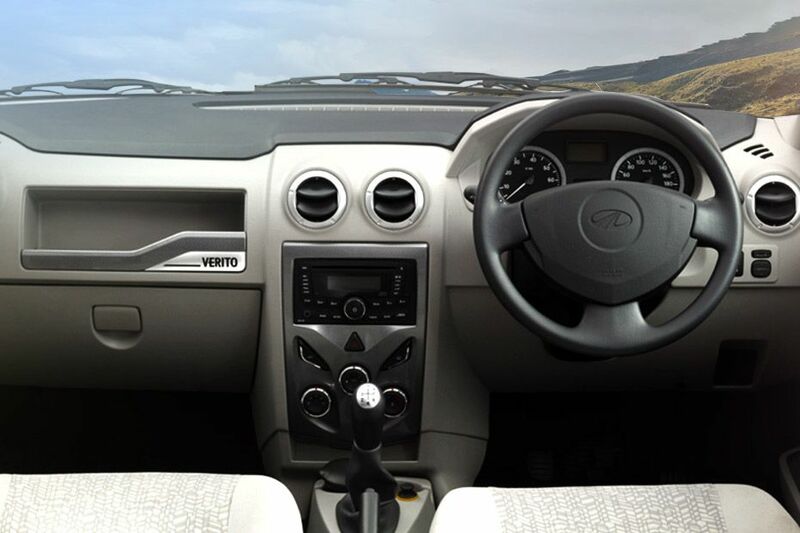 Mahindra Verito is offered with a power assisted steering column that is collapsible as well. 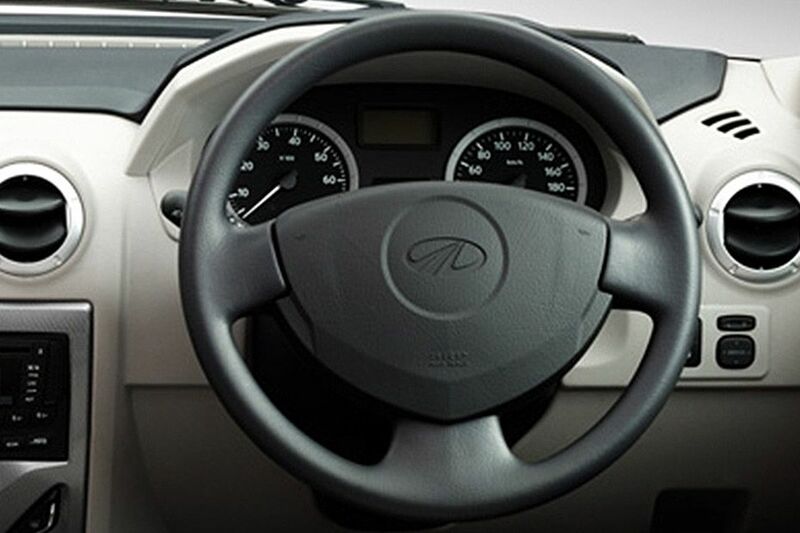 It comes with a stylish instrument panel that gives clear updates of the vehicle. 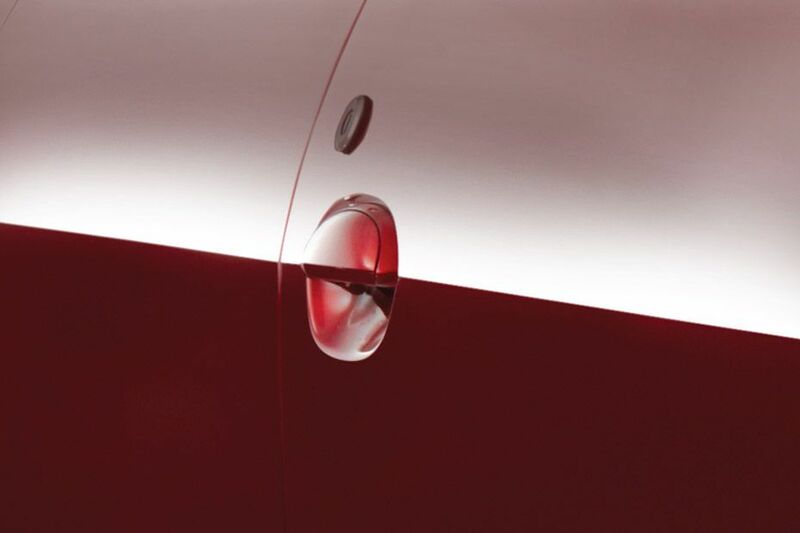 It includes a tachometer, distance to empty, average speed, and door ajar notifications. 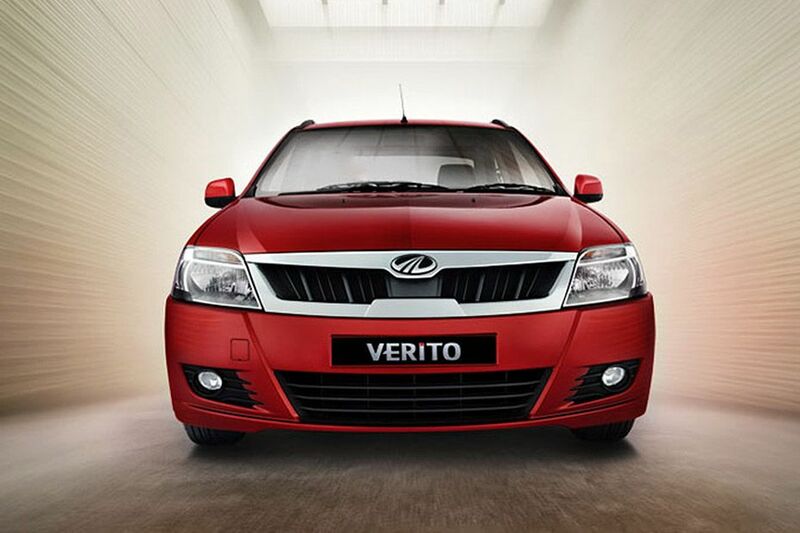 Verito is available with a 5-speed manual transmission gear box as standard. Swift Dzire – Petrol versions have both 5-speed manual and 4-speed automatic transmission gearbox (VXI AT and VXI AT Optional only). Diesel models have a 5-speed manual and AMT gearbox (ZDI only). Hyundai Xcent - Diesel versions get a 5-speed manual gearbox. Petrol models have both 5-speed manual and 4-speed automatic transmission gearbox (SX Option only). Toyota Etios - 5-speed manual transmission gearbox in all variants. Honda Amaze - Diesel variants get a 5-speed manual gearbox. Petrol models have a 5-speed manual and 5-speed automatic transmission gearbox (S AT, and VX AT only). 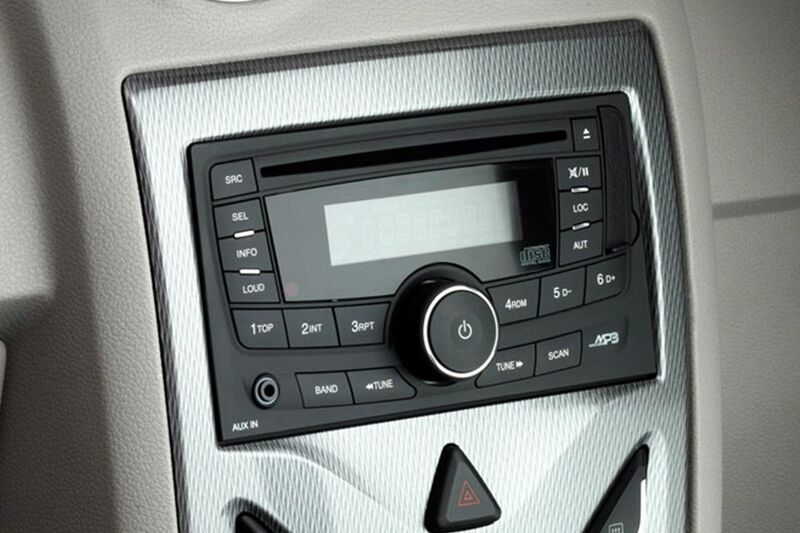 Verito's D6 variant has a 2-DIN music system with a CD/MP3 player, radio tuner, Aux-In and 4 speakers. 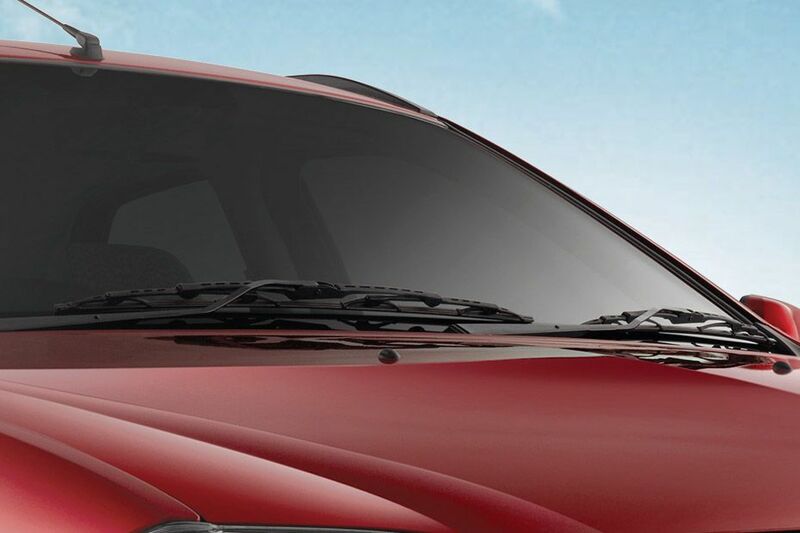 The D4 and D6 models of Mahindra Verito are available with front and rear power windows, while the base variants have manually operated windows. Verito has a few storage spaces like mobile holder, bottle holder, front door map pockets and a glove box. Only the D6 variant of Verito gets a driver airbag. 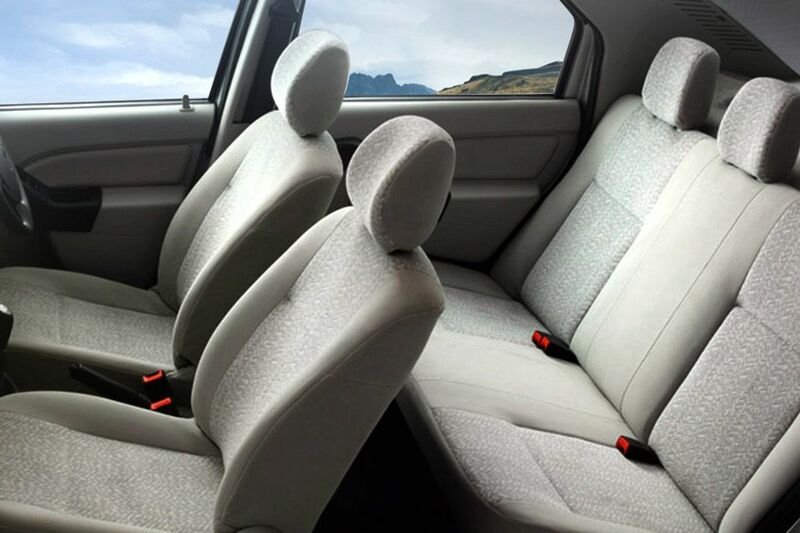 Toyota Etios has dual SRS airbags as a standard feature. In Maruti Swift Dzire, both the L and V grades have dual airbags as an optional feature, while these are standard in the top spec models. Only the SX and SX (O) versions of Xcent get driver and passenger airbags. In Honda Amaze, front dual SRS airbags are offered in SX, VX, VX AT and VX (O) variants. 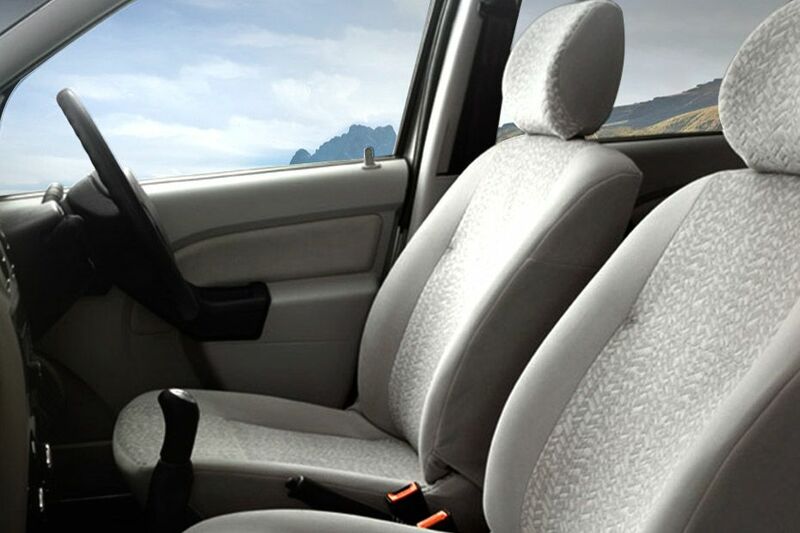 Mahindra Verito is designed with a roomy cabin that guarantees ample leg room to its occupants. It also provides sufficient head and shoulder space as well. Foldable rear seat is not offered in Verito. Verito does not have a height adjustable driver's seat. 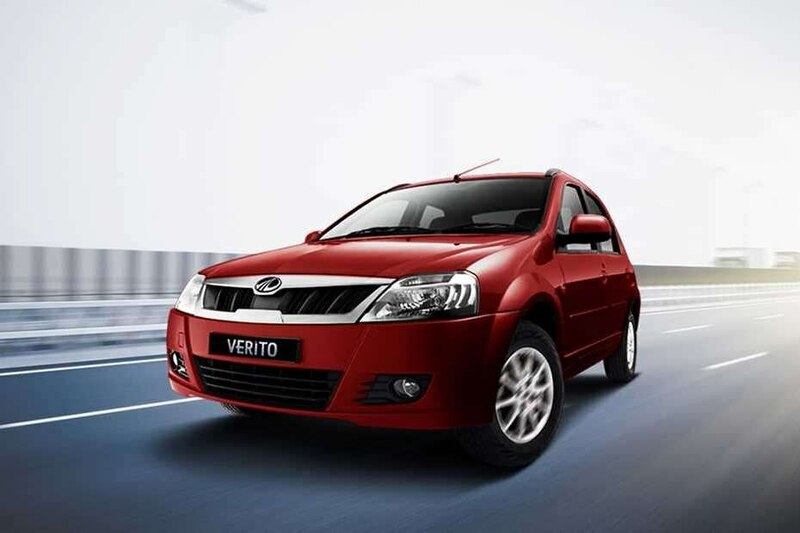 Mahindra Verito has a total length of 4277mm, width of 1740mm and a height of 1540mm. Its ground clearance is 172mm. 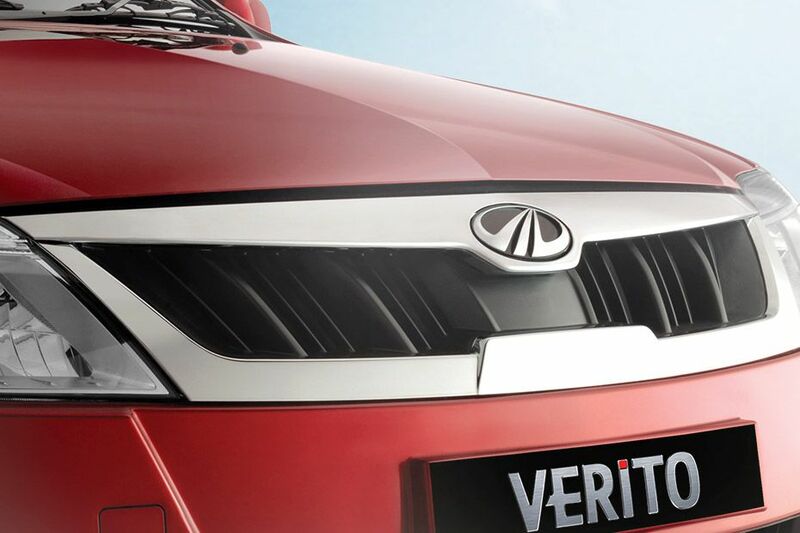 Mahindra Verito is currently available in 9 colors – Twilight Blue, Fiery Black, Java Brown, Mist Silver, Toreador Red, Rocky Beige, Diamond White, Dolphin Grey and Pearl White. Maruti's Dzire is 282mm smaller, 45mm less wide and 15mm taller than Verito. It has a ground clearance of 170mm. , Honda Amaze is 287mm smaller, 60mm less wide and 35mm shorter than Mahindra Verito. Ground clearance – 165mm., Toyota Etios is 12mm smaller, 45mm less wide and 30mm shorter than Verito. Ground clearance – 170mm., Hyundai Xcent is 282mm smaller, 80mm less wide and 20mm shorter thanVerito. Ground clearance – 165mm. 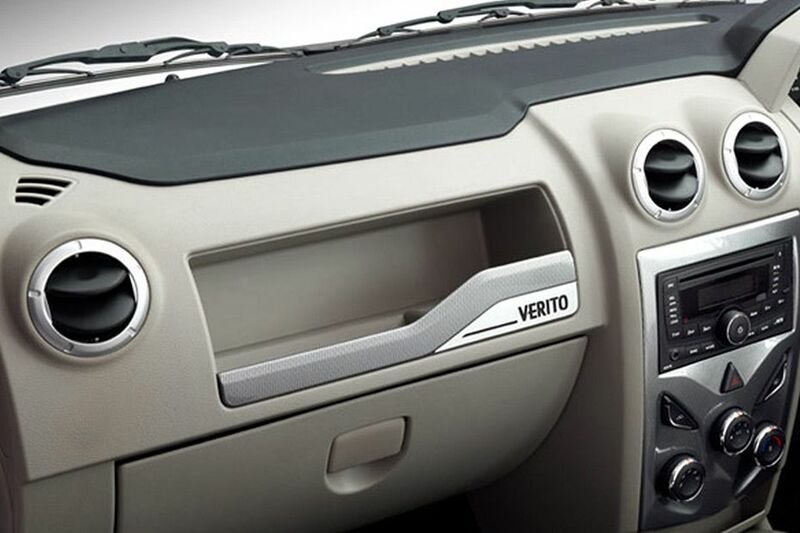 Rear AC vents are not present in Mahindra Verito.